Created in 1899 by the famous Swiss occultist Oswald Wirth at the dictation of the initiate Stanislas de Guaita, this French esoteric tarot deck is not only a collector's item because of its beauty and artistic quality, but also a fascinating compendium of occultism. 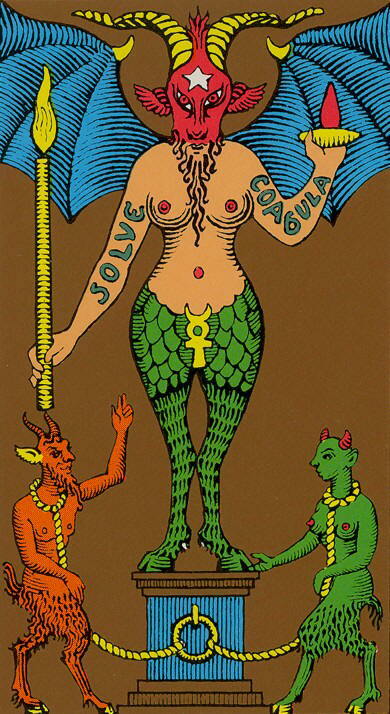 The Oswald Wirth Tarot influenced many divination adepts and scholars. It is the first deck that used E. Levi's Baphomet image for the Devil card.